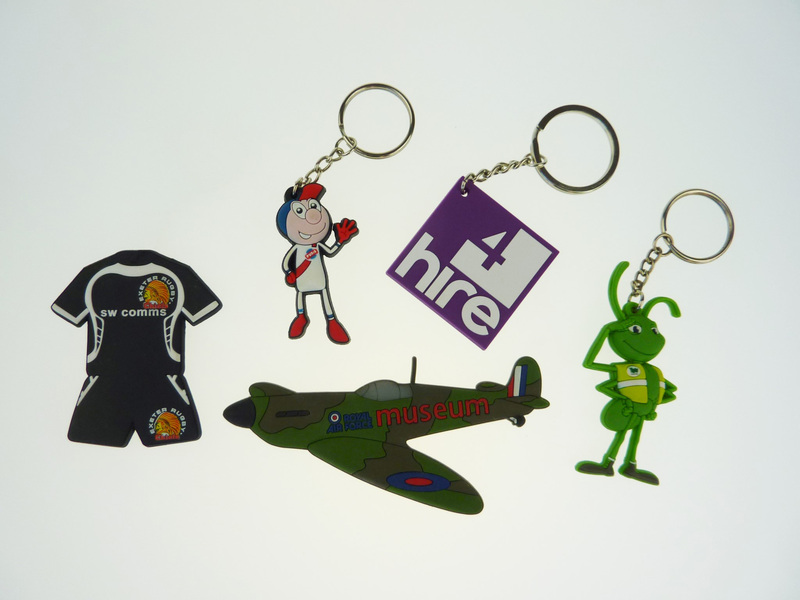 Custom Soft PVC Process – an idea or image is all we need to make a great promotional or retail Custom Keyrings & Bespoke Fridge Magnets! Soft PVC (Polyvinyl Chloride) is an ideal material from which to mould custom fridge magnets or keyrings. It allows for flexible, multiple coloured layers on one or both sides to give a 3D effect. These can be replicated thousands of times over. We work from your visuals, sketches or description. A dedicated project manager can advise about style & specification making the absolute most of your character, logo or shape to suit the campaign, purpose or goal. From here a handsample will be provided (this can be tweaked if/as required). Production can be started on approval of handsample. Product will be exactly the same as the approved handsample, they are QC checked throughout production then carefully packed, ready for dispatch. Approximately 4-8 weeks (handsample 5 days, production 15 days & 7 days airfreight). What Custom Soft PVC & branding options do you have? Your character, mascot, logo or asset can be produced as a custom made Soft PVC Keyring, Fridge Magnet, LED Torch, Phone Holder etc featuring 3D effect relief. What’s the minimum order quantity for Custom Soft PVC Keyrings or Fridge Magnets? Generally the minimum viable and economic quantity is 1000 items for a Soft PVC item. What will a Custom Soft PVC Keyring or Fridge Magnet cost?